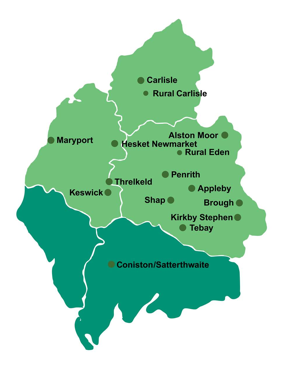 Eden Housing Association owns and/or manages around 1,982 homes in the Eden Valley, with over half of these properties in Penrith. The housing stock consists of general needs housing, including affordable market rental/sale, and low cost ownership properties. Eden Housing Association act as Managing Agents for Mitre Housing Association, Allonby Almshouses, and Lyvennet Community Trust.